Halloween is tomorrow and in the spirit of the holidays I thought I’d share with you some fun Halloween themed fonts I found on a site called Creative Market. 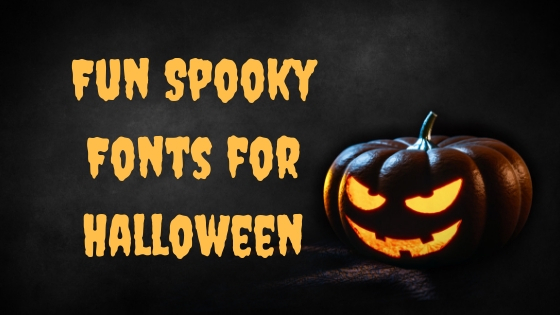 Enjoy using these fonts on your next Halloween project. The first four fonts I’m sharing are ones that I believe are on trend with Halloween yet still have an appeal to work on seasonal marketing for your business. These next fonts I think are just a bit too whimsical to use in business marketing so use these fonts for party decorations, invitations, and projects for the kiddos. Enjoy these Spooky Halloween Fonts. Which one would you choose?